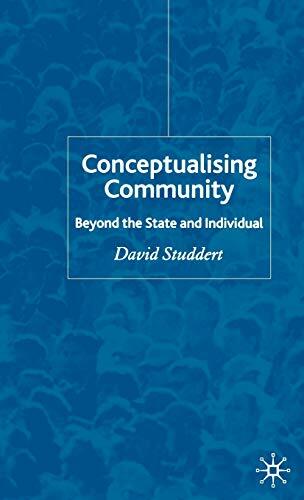 Conceptualising Community: Beyond The State And Individual: 9781403946362 Hardcover - LIMEROCK BOOKS INC.
Community is the dark shadow of sociology - an issue around which sociologists always duck and dive. This book examines the reasons for this reticence through an exegesis of contemporary debates. Additionally it utilizes the work of Hannah Arendt to propose an alternative anti-mechanistic and anti-essentialist approach to community and sociality; an approach that not only moves beyond Foucault and his oppositional work but also offers perhaps the basis for a different approach to politics. DAVID STUDDERT is a Research Fellow at the Open University, UK.